Update to consultation – Motorists will no longer receive a paper tax disc to fix and exhibit to their vehicle as proof that Vehicle Excise Duty (VED) has been paid in respect of their vehicle. The measure will have effect from 1 October 2014 and will apply to all vehicles. A couple of weeks ago we published an article No More “Tax” Disc? about the government’s plans, which at the moment is draft legislation regarding the withdrawal of the “Tax Disc” that we currently have to display on vehicles. The legislation will remove the legal requirement for motorists to fix and exhibit the VED licence to their vehicle in respect of whatever amount of VED is chargeable including for motorists whose VED liability is nil. Electronic data (e.g. VED and insurance) that is held about your property (vehicle) which should tie into the data held about you (the owner) will be used when “triggering” ANPR cameras. In other words you and your vehicle’s movements will not just be tracked but recorded, at a place and time where ANPR cameras are located and/or set up by government agencies. Thus your personal data will be collected to check your compliance. This would include personal data that you have either through ownership of your vehicle or through finance houses and/or insurers, which you may be required to give to the authorities – depending on the situation and circumstances. While this may seem to be delving into conspiracy theory, actually it refers more to a much broader debate about the ownership of personal data, specifically in relation to your vehicle and how this data can be used either by government or even by the private sector to monitor your habits and movements. For example, the information provided through the Event Data Recorders (EDRs) in vehicles, is extremely important. In the case of the insurance industry, the monitoring through what is more commonly known as “black boxes”, is effectively a whole new world of “spying” – If you think Edward Snowdon was a bad egg because he blew the whistle on the Big Brother eavesdropping by our own governments, think how the constant monitoring of your every move through electronic devices such as ITS, e-Call, VED, OBD, ISA, Alco-locks and all the other goodies to make sure you obey the law and are of course “safe”, will be used to make a lot of money by those in the private sector and control you by the authorities. You could argue – but we can’t do anything to stop this. We would argue – yes you can, you along with all the other vehicle owners have a very strong case to demand ownership of that very data. This is what is happening in the US Congress in relation to vehicle data. We are also aware that there is a strong lobby in Brussels regarding data ownership. So it seems to us at least, that this is a campaign for grown ups and something that will make a difference. Government says that, “The abolition of the tax disc would benefit owners of vehicles used for business purposes around £7 million per year on aggregate. The benefit is informed by stakeholder engagement with the British Vehicle Rental and Leasing Association and is made up of no longer re-posting the tax disc to drivers, the reduced cost of returning the disc for a refund and reduced staff costs. The Post Office will benefit from savings to costs of storing, securing and transporting the paper based vehicle licence. We thought we would ask the Government department responsible here for road tax matters in Northern Ireland, Department of the Environment (DOE) and we contacted the minister responsible – Mark H Durkan as certain aspects of governing Northern Ireland are devolved to the Northern Ireland Assembly. We subsequently received a reply from the Chief Executive, Paul Duffy, of the Driver & Vehicle Agency (DVA). 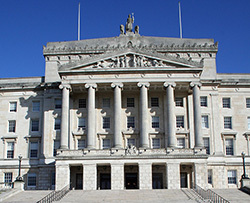 Therefore the proposed legislation and any decisions have a direct effect in Northern Ireland. This means that you cannot leave the tax on the vehicle for the next owner. Though you can leave any unused tax on the vehicle but if you do not claim the tax back as a refund then you will lose it. This leaves the onus on the new registered keeper of the vehicle to apply for road tax. 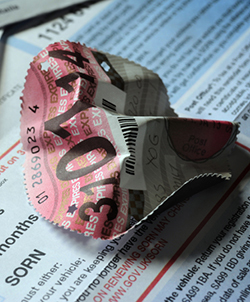 Will you will still be able to claim a refund of road tax, the same as the present rules? A refund is paid for each full month left to run on the tax disc at the time you apply. You cannot get a refund if the tax disc has run out or has less than one calendar month left on it. If you don’t cash in any refund due you will lose it and you will lose as is the case now, so the government is giving you the responsibility to act. Is this a small removal of the nanny state? As for a government conspiracy to cash in all the used part month road tax that people can’t claim back if the legislation is introduced it is no change to the present rules. Vehicles that are exempt from vehicle tax – eg older vehicle – classic motorcycles, as vehicles being licensed in the” historic tax class” will be required to renew their licence annually. However, these vehicles still have to display the “exempted” tax disc, so if the bill is passed would the keepers still have to apply for an exempted tax? The short answer is yes, the reason being that vehicle keepers would still have the requirement to produce a current test certificate (MoT) and a valid certificate of insurance or a cover note. However the requirement to produce a current test certificate is only applicable if the vehicle used on the road is required to have an annual MoT test. Motor cars, motorcycles and light goods vehicles manufactured or registered before 1960, are exempt from the mandatory MOT test, although the Driver & Vehicle Agency (DVA) offer tests on a voluntary basis, but only at the request of the vehicle owner. Thus although there would appear to be no change, there will still be like all applications for a tax disc whether exempt or not, paperwork whether on-line or on real paper with a pen, to be filled in. If you are a retailer you will not need to be ordering new stock of tax disc holders as those that you have already have in stock may become redundant to requirements unless you can find another use for them. Your bike may feel naked and incomplete without a holder bolted to a fork leg or hanging from the frame.